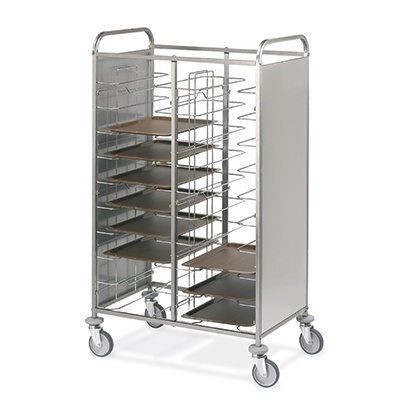 Universal tray-holder trolley with white side panels. Capacity 10 trays (cm.11h). Stainless steel structure. 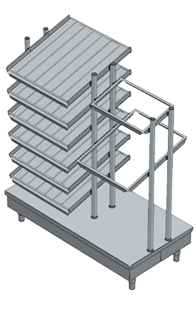 Slide-ways in chromium-plated steel wire. Full swivelling castors Ø125mm, 2 with brake. Bumpers. 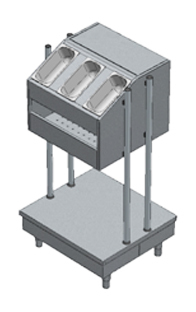 Universal tray-holder trolley with white side panels. 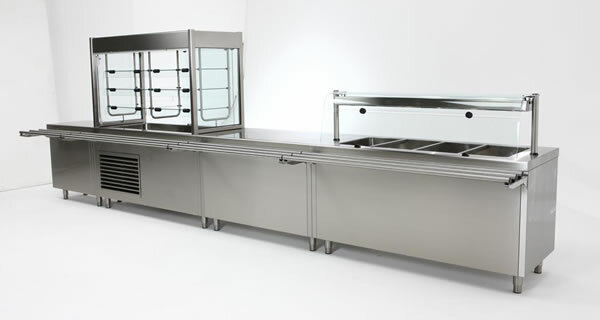 Capacity 20 trays (cm.11h). Stainless steel structure. 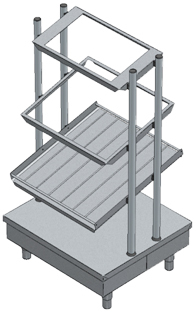 Slide-ways in chromium-plated steel wire. Full swivelling castors Ø125mm, 2 with brake. Bumpers. 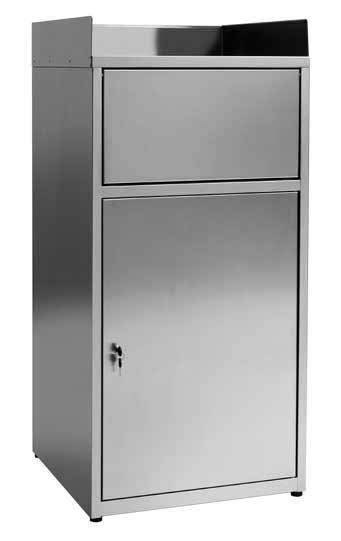 Stainless steel AISI 430 fast-food rubbish bin. Raised edge top for trays. Swinging door for trays cleaning. Sack-holder lower lockable door Capacity: 80 Lt.